"Focus attention and energy on making a difference in the lives of others, and success might follow as a by-product." 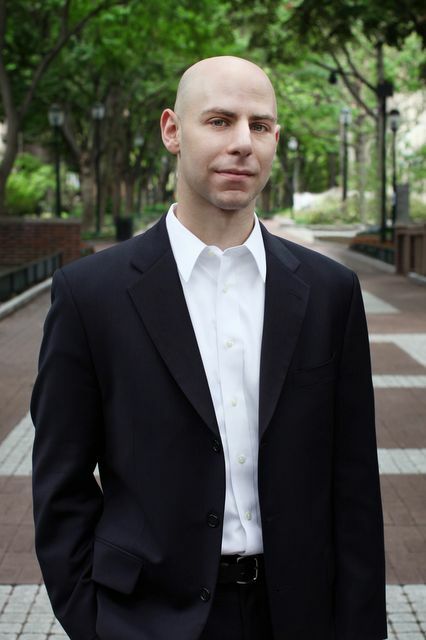 At 31, Adam Grant is the youngest-tenured and highest-rated professor at Wharton. Within seven years of achieving his Ph.D., he published more papers in organizational psychology (the study of workplace dynamics) than colleagues who won lifetime-achievement awards! When organizations like Google, NFL, the US Army and Navy and the United Nations want to figure out how to get the most out of their employees and when people want to figure out how to get the most out of their jobs, it is Grant who has the answers. His 2013 book Give and Take compiles his research and stories into applicable ideas that we can use to make dramatic change. Below are just three of the top ideas I garnered from his book which is chock full of great ideas. "In fact, the patterns of success based on reciprocity styles are remarkably clear." Adam Grant divides people into three reciprocity styles. He discovered that patterns of success based on these reciprocity styles are remarkably clear. Here’s how he categorizes them. You don’t fit into just one category? That’s normal. The lines between these styles aren’t hard and fast. Which category do you think ends up at the bottom of the success ladder? The verdict in his classes was nearly unanimous. Givers. When he asked them who rises to the top, the students would equally choose Matchers and Takers. But Grant’s research proves otherwise. His intention was to teach his students to become better leaders, managers and negotiators. He believed that the way to do that was to adopt a ‘giver’ style. But they simply didn’t believe him. So he decided to prove them wrong. This book is that proof. 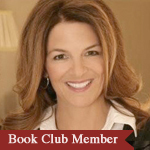 "The defining quality of a top pharmaceutical salesperson was being a giver." Adam Grant did an experiment with call centre employees. He randomized them into three groups with the exact same conditions except for what happened five minutes before their shift. Each group read a different story. The results? The personal benefit group had no change in dollars raised while the people in the purpose group more than doubled their dollars raised! After seeing the same results after five replications of the study, Grant concluded that the testimonial from the scholarship recipient bypassed the subjects’ conscious thoughts and went straight to the subconscious source of motivation. While they could not pinpoint the source of their motivation, it was driving their behavior. A five minute exercise that doubles productivity!? Why don’t we do this? Everything I do is focused on helping pharmaceutical people improve patient outcomes so I was especially intrigued to read Grant’s reference to a study by Jaramillo and Grisaffe. They studied 600 pharmaceutical sales people. The reps completed surveys to identify if they were givers, takers or matchers. They were assigned to a new product with no existing client base. While initially there was no difference, each quarter the givers pulled ahead of the others. By the third and fourth quarters, the givers were bringing in significantly more revenue than the others. It didn’t matter whether the sales people were conscientious or carefree, extroverted or introverted, emotionally stable or anxious, open-minded or traditional. The ones who focused on helping the physician to help the patient succeeded. Yay! Being ‘patient focused’ isn’t just morally imperative, it contributes to increased sales! Adam Grant, through his research and writing, is saying that people work better if they feel like they are helping others and making a difference. This might be the number one secret to moving others. "Success involves more than just capitalizing on the strengths of giving: it also requires avoiding the pitfalls." Some givers end up exhausted and unproductive while others end up passionate and successful. Grant calls them successful givers and failed givers. You can likely picture a few of these dramatically different givers in your network. What do you think causes the difference? Grant found that the successful givers aren’t just more other-oriented than their peers, they are also more self-interested. Successful givers are just as ambitious as the takers and matchers. The failed givers are completely selfless – to a fault. They have high other-interest and low self-interest. And this ends up hurting them. It reminds me of the instructions on the plane to put on your own oxygen mask first so you are able to help those around you. If takers are selfish and failed givers are selfless, successful givers are ‘otherish’, Grant says. They care about benefitting others and they match that focus with ambitious goals to advance their own interests. In other words, they are still willing to give more than they receive but they are aware of their own interests which become their guide for choosing when, where, how and to whom they give. They do well by doing good! When your focus on others is coupled with a healthy dose of concern for the self, givers are less likely to burn out and get burned. They are positioned to excel, help others and help themselves. If you had giver tendencies before you read this, you will be encouraged to continue and perhaps slightly adjust your approach to ensure you become a successful ‘otherish’ giver. If you didn’t have giver tendencies, you likely didn’t choose to read this summary anyway! I encourage you, wherever you sit, to grab Grant’s book and sit down with it. My copy is marked by dozens of dog-eared pages – evidence of its tremendous value for me. Many people reserve their giver tendencies for their personal rather than their professional lives. By shifting even slightly in the giver direction, you just might enjoy work more, find greater meaning and create longer lasting impact! What one thing can you do today to become an “otherish” giver?